How many times have you discovered a beautiful piece of jewelry but wished it were just a little bit different? Maybe silver instead of gold? Or emerald instead of amethyst? If you find yourself imagining how you would tweak a jewelry design to really make it your own, Gemvara is the perfect jeweler for you. The founder, Matt Lauzon, is reinventing the way people buy jewelry and putting more design control in the buyer’s hands. You can see how each piece would look if it were made with different precious metals (sterling silver, gold, or platinum, for instance). You can also personalize each jewelry piece with your ideal gemstones (ruby, sapphire, onyx, topaz, or citrine, to name just a few of the many options). If you’re not entirely confident about your design choices -- maybe you’re customizing a piece for someone special -- Gemvara’s top-notch customer service team can walk you through the process. They’ll help you brainstorm and really make your design something meaningful. Once you’ve chosen your metal and gemstones, each piece is made to order by professional jewelers in the U.S. Gemvara is inspired by “vara,” the ancient Sanskrit word for wish. Every day Matt and his team make jewelry wishes come true! stone or a black diamond eternity band? 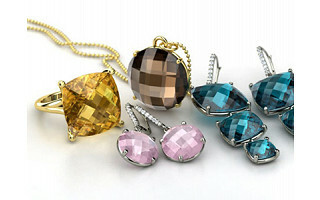 Head to www.gemvara.com to get started. I really like this idea but what happens if what I receive is not as expected. Can these be returned or exchanged? I'm contemplating a special birthstone piece for my daughter but not confident I will get it right. I'm happy to hear you're creating a piece! While I'm sure whatever you design will be beautiful, we do have a 30-day return policy if for some reason you are not satisfied with your piece. You will receive a full refund. We also have a wonderful Customer Care team that is beyond willing to help you through the entire process so if you have any questions about the gemstones, delivery or craftsmanship don't hesitate to call: 1-800-436-8803. Can you show me an idea of what a 1-2 carat diamond would look like in yellow gold in a classic setting? I also really like the Vanessa ring. Getting engaged soon and want it to be forever and PERFECT!! @Jennifer: Hi Jennifer, Here's a link to one of my favorite engagement rings: the Carrie Ring. One of our own Gemvarians got engaged with this ring just last week. His was 14K White Gold and everyone in the office loved it -- even the guys! Curious - as CEO, what is one of your favorite designs on the site and why? AND which gemstone/metal combo appeals to you? @Katherine Klinger: Awesome! Thanks, Katherine! 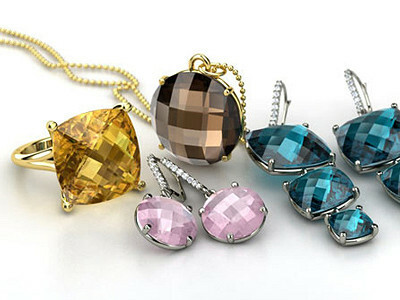 Gemvara is the perfect place for you personalize your design. There are lots of classic settings and you can configure the perfect and forever design that you're seeking! It's a lot of fun, I think too. You should check out how it all works at Gemvara by clicking on the orange 'visit now' button in the upper right corner of the Daily Grommet site. Thanks for commenting. I had a ring I loved stolen a few years ago and have never been able to find another like it. It was a gold band, 3/8" wide, or less. It had three tiny diamonds on one side and three tiny blue saphires on the other. Do you think that's anything you could recreate? @carole raybourn: Hi Carole, So I think you're in luck. Because all our jewelry is made-to-order, that essentially means we can create a ring however you want it. I've attached a few examples of bands I think you may be talking about. If you simply click on the customize button on the ring page you can change the metal and gemstones to whatever you like. I know that these rings have the incorrect number of stones, but I believe that we can make them with six! If these two bands are what you had in mind, our Customer Care team would love to help you through the rest of the process. Give them a call at 1-800-436-8803 and tell them you spoke with me via Daily Grommet. I hope this helps! A few years ago I visited Brazil and bought some beautiful loose stones. Are you able to use a client's stones? @Roxanne Cech: Because setting gemstones can be a risky business, they don't take on the liability of using a customer's stones that are irreplaceable. I need to ask a question that no jeweler seems to be able to answer. Is there a certain type of chain that will not "eat" your hair? I want to wear some beautiful pendants but every chain I try just tears my hair up and it breaks off! @Cindy Longstreth: I have sent Matt your question and will let you know what he says. Thanks for stopping by! How many times have you discovered a beautiful piece of jewelry but wished it were just a little bit different? Maybe silver instead of gold? Or emerald instead of amethyst? If you find yourself imagining how you would tweak a jewelry design to really make it your own, Gemvara is the perfect jeweler for you. The founder, Matt Lauzon, is reinventing the way people buy jewelry and putting more design control in the buyer’s hands. You can see how each piece would look if it were made with different precious metals (sterling silver, gold, or platinum, for instance). You can also personalize each jewelry piece with your ideal gemstones (ruby, sapphire, onyx, topaz, or citrine, to name just a few of the many options). If you’re not entirely confident about your design choices -- maybe you’re customizing a piece for someone special -- Gemvara’s top-notch customer service team can walk you through the process. They’ll help you brainstorm and really make your design something meaningful. Once you’ve chosen your metal and gemstones, each piece is made to order by professional jewelers in the U.S.